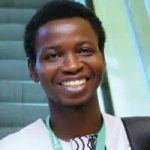 Oluwatobi Oyinlola is an Embedded Systems Engineer, Inventor, IoT Evangelist, Tech Speaker with an extensive experience in Embedded Systems Design, IoT, Robotics and Firmware engineering. He is a dynamic individual who is passionate in building the young tech generation, Intel Awarded him as “Intel Software Innovator” representing Africa in various spotlights of innovative competitions. A passionate member of IoT Europe which he was featured representing Africa on World IoT day explaining how he uses IoT to solve some critical Africa Challenges. Oluwatobi also represented Africa in a competition organized by Hackaday in San Francisco, USA where he built a Lightning Sensor which automatically check for Thunder strike and can be logged remotely.